At Need A Space self-storage we supply just a little bit more than space. We can not only provide the transport, equipment, and assistance with our fork lift truck service to make your move easy, we also offer the very best in low-cost packaging products from boxes to marker pens and fixing tape to bubble and foam wrap. Take a look below at our complete range of strong, quality products to help you pack, secure and protect your goods – ideal for home or business use. Products available on-site from us and delivered directly to you. Below: Handy room indicator on flaps on moving boxes, parcel tape, biodegradable bubble wrap. Use: Ideal for kitchen utensils, shoes and ornaments. Use: Excellent capacity for toys, books and other items. Use: Ideal for the contents of 1 room. 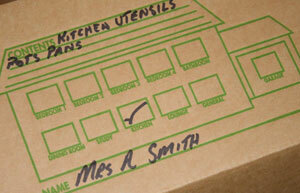 Contains storage and archive boxes, tape and bubble wrap. Cost: Normally £31.00. You pay £26.00. Use: Ideal for small house or flat. 12-box pack – includes bubble wrap and tape. Cost: Standard retail price £35.00. Free when you book 8 wks storage with us. Use: 15 box pack designed for a 1-2 bed property. Also includes bubble wrap, tape and other accessories. Cost: Standard retail price £65.00. You pay £55.00. Use: 20 box pack designed for a 3-4 bed property. Also includes bubble wrap, tape and other accessories. Cost: Standard retail price £87.00. You pay £70.00. 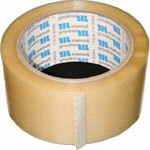 Additional items, tape, bubble wrap etc.